Atlantic Shores Retirement Community in Virginia Beach has been certified as the first official Pearl Neighborhood in the region by Lynnhaven River NOW. 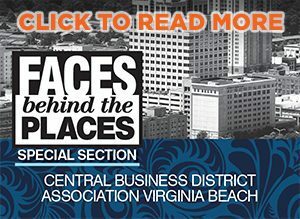 This special designation is given to residential communities that care about the environment and create programs that help restore and protect Virginia Beach waterways. Since 2002, Lynnhaven River NOW’s committed group of 8,000 local citizens has fostered public and private partnerships to reduce pollution along the Lynnhaven River. In addition to the Pearl Neighborhood program, the organization also administers Pearl Homes, Pearl Schools and Pearl Faith programs. With the new designation, Atlantic Shores residents and staff are taking steps to conserve, reuse and recycle natural resources. The community’s first project is a system of rain barrels, which convert roof run-off into a water source to irrigate courtyard gardens in Atlantic Shores’ Harborway Assisted Living and Seaside Health Center facilities. More than 30 percent of Atlantic Shores residents have committed to make their residence a Pearl Home, pledging to live responsibly to help protect natural resources.